England amassed 361 runs in their first innings and declared the second at 349 in 114.1 overs with three wickets remaining. The Kangaroos surrendered for 128 in their first and managed 235 in the second innings. Joe Root (England) was declared ‘Player of the match’ for his brilliant batting in the game. The Ashes – 2nd Investec Test came to an end on Sunday, July 21, 2013, at the famous Lord’s, London. Earlier, the hosts started the day at 5-333 scored off 110 overs whereas Joe Root and Jonny Bairstow were unbeaten on 178 and 11 runs simultaneously. The latter hit the first six of the day in the second over but was gone in the next one for 20 and the newcomer Matt Prior was dropped at one run. 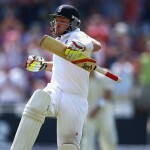 Joe Root was caught by Steven Smith off Ryan Harris for 180 from 338 balls with 2 sixes and 18 fours. The skipper of England, Alastair Cook, declared the innings after the fall of Root’s wicket at 7-349 in 114.1 overs. Peter Siddle remained the most successful bowler with three wickets, Ryan Harris ended up with two whereas James Pattinson and Steven Smith shared one wicket each. The visitors required 583 runs to win the match with nearly two days still left in the game. Shane Watson along with Chris Rogers opened the innings reasonably well as the first got 3 fours until 6.3 overs. 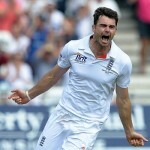 Watson was declared leg before wicket on the next ball of James Anderson for 20 and the wicket fell at 24 runs. The top order batting of the Aussies crumbled again and they lost another two wickets while adding just 12 runs to the total. Chris Rogers was clean bowled by Graeme Swann for 6 and Phillip Hughes was held lbw off the same bowler for just one run. The tourists were reeling at 3-36 when their captain, Michael Clarke, joined in with Usman Khawaja. The first survived a stumping chance at two runs and Khawaja added 10 runs in the 23rd over with a couple of fours. The pair kept on crawling with the assistance of odd boundaries and the score went past the hundred runs mark in the 37th over. Usman Khawaja reached his second Test fifty with two runs and Michael Clarke attained his 27th half century during the 47th over. The fourth wicket partnership was broken at 134 when Michael Clarke was caught by Alastair Cook at leg slip off Joe Root for 51 from 85 deliveries with 7 fours. The miseries for the Kangaroos were multiplied when Usman Khawaja lost his wicket one run later for 54 off 133 with 7 fours. The English bowlers penetrated through the middle and lower order batting of the visitors who were struggling at 8-162 in 62 overs. James Pattinson and Peter Siddle accumulated 30 runs for the ninth wicket and enhanced the score to 192 as James Anderson destroyed the wood of Siddle at his individual feat of 18 runs. The match was extended for another 30 minutes to get a possible result and James Pattinson was finally declared lbw off Swann for 35. The entire Australian team was bowled out for 235 runs in 90.3 overs and once again their batsmen were unable to cope with the deadly bowling of the hosts. Graeme Swann was once again the star performer with four wickets, whereas James Anderson, Tim Bresnan and Joe Root captured two wickets each. England humiliated Australia again in the second Test with a hefty margin of 347 runs and the hosts lead the five match series 2-0.